I’ve recently read Paul Le Blanc’s very stimulating collection of essays, ‘Unfinished Leninism’, which re-states the validity and value of Lenin’s life, ideas and legacy for our times. My review for Counterfire will appear soon. But there is a specific issue raised by the selection of essays that I want to address here. 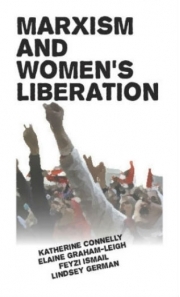 One big issue covered in the book is the much-debated topic of organisation, and whether the project of building explicitly revolutionary socialist organisation remains a worthwhile one. Paul Le Blanc thinks it is. I think so too. But in current circumstances the reasons for this are far from self-evident. There is a big, general answer to the question ‘Why build revolutionary organisation?’ It is do with challenging the capitalist state for power, grouping together the most militant and class-conscious elements in a party, and the vital role of a party in the dynamics of revolution. The arguments are familiar to anyone who has spent time as part of the revolutionary left – whether here in the UK or elsewhere – and to many other socialist activists too. But that’s not what interests me here and I’m not going to recycle the arguments in this post. The focus here is more immediate. It is reflected in the addition of the word ‘today’ to the question above. In current circumstances - which are distinctly non-revolutionary and characterised by the absence of a sizeable revolutionary left - what is the rationale for devoting time and energies to building revolutionary organisation? Why do this despite the many failed efforts of the past, the chronic problems of sectarianism and decline, and the fact that such a project is perhaps (even) more unfashionable than for decades? Le Blanc makes the unarguable point that much of the historical record of building Leninist organisations in Western countries since World War Two does not exactly leave us with great grounds for optimism. In the context of a revolutionary left that is small, fragmented, frequently sectarian and too often intellectually and practically conservative, some serious and clear thinking is needed. What is also needed is humility and a realistic sense of what’s possible in the immediate future. Le Blanc sees delusions of grandeur as one of the big problems. 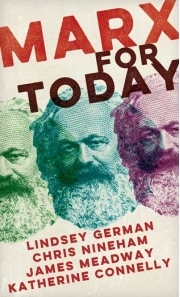 He distinguishes between a credible, rooted revolutionary party – which doesn’t exist anywhere today – and more modest revolutionary organisations that can do useful work in the here and now, while contributing to a future re-composition of the revolutionary left. This might one day take the form of a serious and sizeable party with a tight connection with broader working class struggles. So, in the absence of such a party and with more modest means at our disposal, what kind of organisation can realistically be created, and what should such an organisation be doing to justify its existence and the expending of time and energy by its activists? I think there are three central reasons for building such organisation in current conditions, which are applicable in many different contexts, but which certainly provide some sort of compass for those of us engaged in such a project in England (in my case through Counterfire). Firstly, there is the role a revolutionary organisation can play in broader movements over such issues as war, austerity, climate change and racism. Whether specific revolutionary groups actually play such a role is of course a separate matter. They may operate in an at best semi-detached way, at worst entirely parasitic manner, to such movements. But it is also possible to play a constructive and even central role in broad campaigns. 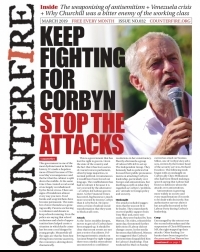 This is what Counterfire strives to do in the People’s Assembly Against Austerity and Stop the War Coalition, for example, and what Scotland’s International Socialist Group does in the Radical Independence Campaign. It isn’t simply a matter of an organisation throwing its weight (relatively slight as it is) behind a coalition, but is also about strategizing for the movement: planning and arguing for certain strategy and tactics, etc. In the absence of such coherent input from organised revolutionaries, it is easy for a protest movement – subjected to all sorts of pressures – to be pulled in different directions and for the agenda to be shaped by more conservative elements inside the broad labour movement. Secondly, a revolutionary organisation enables the sustaining of the Marxist tradition. It is a place where new generations of activists can develop a wide-ranging political understanding of the world, underpinned by the Marxist tradition. There are two interconnected elements: the sustaining of an existing body of ideas and writings, and fresh analysis of contemporary reality. The latter naturally depends on a strong grasp of the former, but it is also aided by a close connection with political activity and struggle. An organisation helps enormously with that. Having an organisation helps with both the education of newer activists in the Marxist tradition – in all its richness – because a more systematic approach can be taken than is otherwise possible. But it is also enormously beneficial to theoretical innovation, which is more likely as part of a collective enterprise. Crucially, an organisation provides an environment in which ideas and action can be connected: the development of ideas is informed by political experience and changing reality, while the organisation’s ideas are applied to campaigning, mobilising and organising. Thirdly, there is the task of laying the groundwork for future realignments on the left. We may not have a revolutionary party now – and there may not be the prospect of one, even, in the foreseeable future – but building revolutionary organisation now is a step in that direction. It is impossible to imagine any serious party of thousands emerging without any pre-existing organisations. 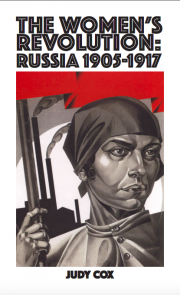 To take a historical example: the British Communist Party, flawed as it was, didn't simply spring into being in 1920 because people were inspired by the Russian Revolution, but was a fusion of a number of existing socialist organisations and strands. One of Le Blanc’s arguments is that the development of an authentic revolutionary party is intertwined with the growth of a wider working class ‘vanguard’. This doesn’t refer to any organisation, but a looser layer of people who have a fair degree of class consciousness and experience of collective struggle, linked to the development a broad left-wing/radical political culture and sizeable, vibrant labour movement of some description. Le Blanc points to a passage in Lenin’s ‘Left Wing Communism, an infantile disorder’ that insists on this broader vanguard as a precondition for a genuine revolutionary party. A similar argument can be found in an excellent Duncan Hallas essay from the early 1970s, 'Towards a revolutionary socialist party', subsequently included in the slim volume ‘Party and Class’. 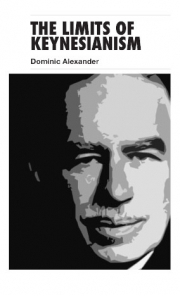 He was writing at a time when Britain had a strong shop stewards movement and a much bigger organised left and more powerful trade union movement than today. It is clear that Hallas, who was a member of the International Socialists (an organisation of 1000-2000 members at the time), didn’t think there was already a revolutionary party. Such a thing was very much a hypothesis. It is clear that he viewed such a prospect as something other – and more - than a simple numerical growth of the existing IS group. It is implied that such a party would almost certainly combine a number of traditions or existing groups, but just as importantly would involve layers of workers not yet won to revolutionary politics or organisation. Both elements of that hypothesis proved to be much harder than anticipated. Organisational unity between different elements of the existing left never happened. Hallas and others perhaps underestimated the differences between groups (not necessarily major formal theoretical differences, but differences of perspective, orientation and approach) and the extent to which particular groups had become defined by their own specific traditions. But, perhaps more importantly in the final analysis, the wider vanguard layer declined rather than growing as Hallas had anticipated. The crucial change was the erosion of the independent rank and file strength of the shop stewards that followed the end of the long post-war economic boom and the end of the upturn in working class struggle in the mid-1970s. These developments were conditioned, though not entirely determined, by wider changes in the composition of the working class itself. Le Blanc and Hallas both wrote – one primarily focused on the US, the other on Britain – of how such a vanguard layer had once existed. It is easy to see, and quite indisputable, that such a layer doesn’t exist today in anything remotely resembling the same form. There is a danger, however, in becoming too fixed on particular criteria for the strength or weakness of such a layer – in thinking that what Le Blanc dubs a ‘radical-labor subculture’ in the American context must take certain forms. The elements of the re-composition of such a vanguard, in a new form, are clearly present, if only partially developed. They are not primarily coalescing in the unions, though elements of the union movement – despite its activist base being much smaller than in its heyday – are part of it. This is especially the case where unions adopt a more political, ‘social movement unionism’ approach that self-consciously utilises the strengths of protest movements to enhance union organising, such as the NUT’s ‘Stand up for Education’ campaign. There are also the more-or-less organised elements found in such things as the People’s Assembly, Occupy protests, and various campaigns, but also – more loosely – a hard-to-define radicalisation that only sporadically finds organised expression. The hollowing-out of the organised left means that such phenomena are often less stable, more volatile, and harder to pin down into something coherent and durable, than was once the case, although we shouldn’t exaggerate the differences as this is not entirely novel (think of the turmoil of 1968). The old organised left has declined partly for reasons outside its control – the larger defeat of the working class movement from the 1980s onwards, the sharp decline in strike levels, the shift to the right in social democracy, the ideological impact of the end of ‘Communism’ – but also partly because it failed to adapt properly to changed circumstances. 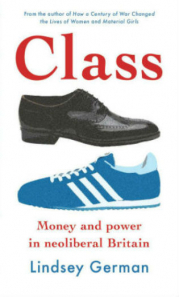 The constant expectation that a return to 1970s-style class struggle, in much the same form as 40 years ago, is just around the corner has certainly not helped. Revolutionary organisation can be built in a new context, with some continuities but also some changes in relation to our heritage. It has to be rooted in the debates, movements and struggles of our time. And it is a project that requires a healthy does of humility and perspective, as well as seriousness and commitment.